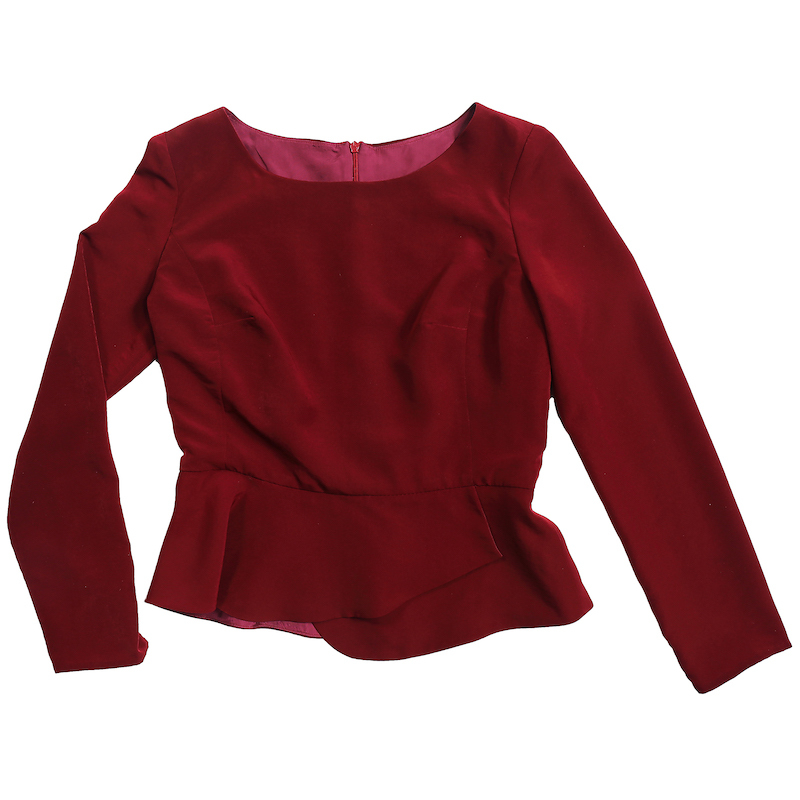 #About#Lined, fitted dress and peplum blouse with princess seams. The sleeveless dress, includes a pencil skirt with back walking vent.The top features short or long sleeves and an asymmetrical pep-lum. Both styles have an invisible back zipper. 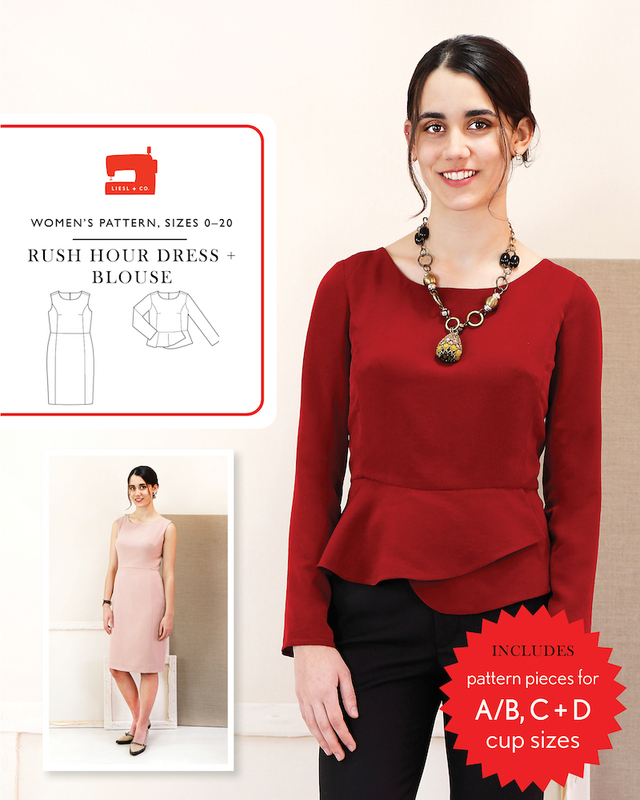 Pattern includes cup sizes, a Dior dart, and instructions for customising for fit. 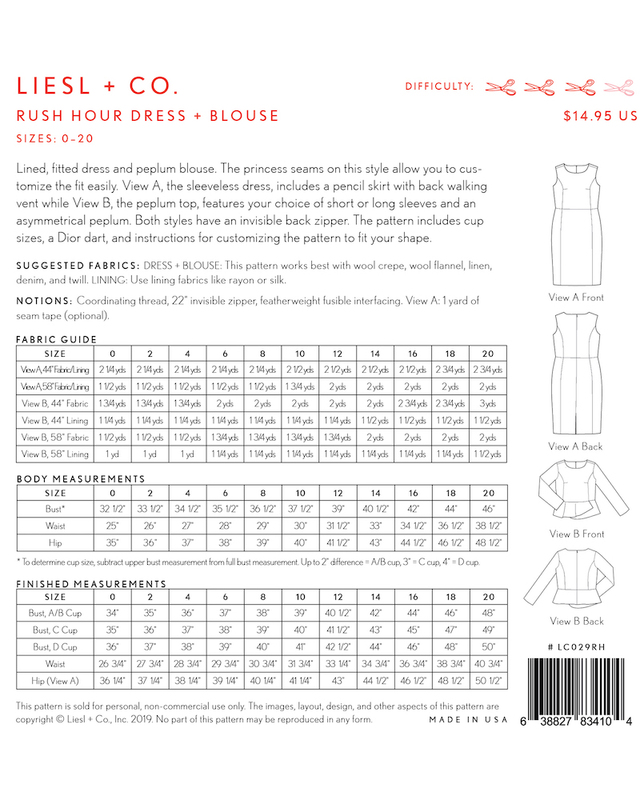 #Suggested Fabrics#This pattern works best with wool crepe, wool flannel, linen, denim, and twill. LINING: Any lining fabric. #Notions#Co-ordinating thread, 22"invisible zipper, feather weight fusible interfacing. Dress: 1 yard of seam tape (optional).